This time last year I was lucky enough to be in Hafjell riding the world cup track with 10 mates over a long weekend which was only made possible by the generosity of our friend, Piers Linney. As part of his 40th birthday celebrations he whisked us all away to paradise, hired us bikes to ride and rented the pimpest pad any of us had ever stayed in. Having our personal chef and life coach, Lars, on hand was one of many added bonuses. Thanks again Piers, it truly was the experience of a lifetime. 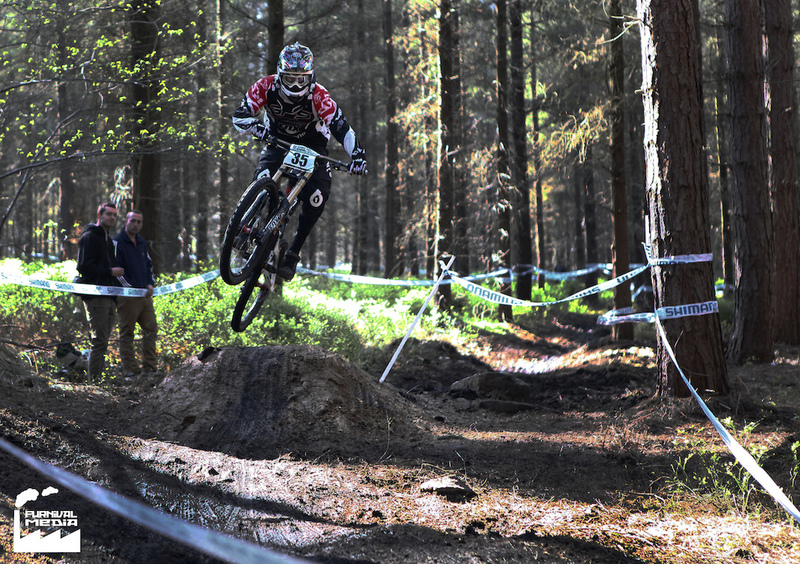 Swinny is out in Hafjell for his first ever World Cup racing for the SPS… Good look Lad, we’re rooting for you! One of our favourite ‘Togs, Grant Robinson, is finally leaving our fair shores to return to his homeland of Canada to raise his kids with the ‘right’ accent. Purveyor of some of the best Blurry Photos every to grace the pages of Dirt and chronicler of the Sheffield bike scene his Cannuc twang and miserable demeanour will be much missed. Its been my own personal pleasure to work with Grunt on several occasions and to get pissed with him and enjoy his company many more times. I’m just looking forward to him repaying my hospitality in Canada in the near future. Thanks to the generosity of another friend of ours, Piers, we all spent the weekend together. As usual Grant’s pissed up stories took a turn for the filthy. Gregger‘s has encapsulated the essence and essential elements of this tale in this brilliant fair well artwork. See ya Grant… keep digging up them ‘Nugs. Joe and Dunc in their Steel City Media guise produced a brilliant ad for the Cotic Rocket starring Swinny as Rocketman. They’ve just done a quick extras/behind the scenes/making of/’Swinny is dreamy’ edit for your continued delight. Massive congratulations out to our mates Mandy Devine (left) and Dave Griffiths (centre) for their achievements in this years Gravity Enduro series. Mandy took the overall win in the Masters category and Dave took the overall in the Hardtails. Both absolute Sheffield pinners (we’ll ignore the fact Mandy defected to Leeds a while back) who honed their skills on our fair trails (and Whistler, the Alps, Scotland, Wales, Yorkshire etc etc). Great work lads. Carrie Poole, the better half of Dave, took the win in last years women’s category so they forced her to stop sandbagging and move up to Pro. Carrie took 4th overall in her first year in Pro, another great achievement (for a lass less than 5 foot tall). Carrie…. “PEDAAALLLL”. Where did August go? For lucky ones like me.. off to france so soak up the sun and ingest the fine living. However for 8 other brave souls a small part of August went in to competing against Sheffield’s finest for honours in our inaugural Strava Smashing round. As ever with the Sheffield Crew, much of it was last minute. The last week of August saw a doubling in entries and oh how they smashed it. Well some of em. I put in an early opener to kick things off and had a terrible run. The track I chose was a bit of a mash up (as a last minute change of course was requested) and wasnt really an obvious loop, but at least it stuck to bridleways. Riding it, you got a slog out of the way to start with and gate opening technique was critical. But what got me was the downhill, totally over cooked it went straight through the front door. Therefore I knew there was a lot of time to take out of my 8:27. Rob Whiteman was next to take up the challenge on a Thursday afternoon and nearly had me with a 8:34. Then Jon Himsworth, Chris M and Steve Bloomer all had a crack over the next couple of weeks but posted 10 minute plus times. Rich Baybutt was next up cutting it fine on the 28th and I can only assume he stopped to take photos of the view as his usual speed wasn’t evident with a 9:49. The Pearson’s then snuck runs in later that day with Chris having a beaut and smashing the lead by over a minute. Timmy was less lucky and punctured on the descent but manned up and ran the rest (it must be all that fell racing training you’ve been getting in!). So it was all looking rosy for Christopher, a minute up and only 3 days of August left what could possibly go wrong? The Rocket Man himself. TiS’s Swinny for the winny once again. Swinny chopped 16 seconds off Chris’ time 14 seconds of which were on the final descent (give or take 5 seconds with Strava’s accuracy). So that’s how it ended up and this means the we have the opening points on the series leader board. The number of points you get depends on the number of people you beat, so its pretty low scoring but hopefully as word spreads and people get back from holidays entries will be on the up. Thanks to everyone that gave it a go. Stay tuned to thisisheffield.stravatrailracing.co.uk for Septembers segment which will be announced this week. As ever, if you have a suggestion for a good segment that sticks to the Bridleways of Sheffield and the Peaks please let me know at StravaSmashing@gmail.com. A finally a massive thanks to the man that made all this possible, Mr Dan Nisbet who has very kindly allowed TiS to use his original idea www.stravatrailracing.co.uk for our own Sheffield Based purposes. There’s more about Dan is this post. Thanks again Dan, you’re a Legend! !